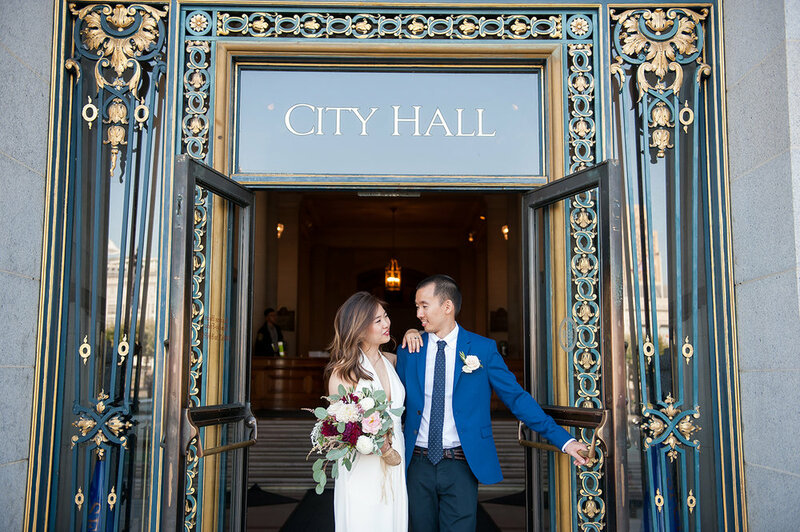 I had the honor of doing makeup recently for Olivia Shih and her family for her San Francisco City Hall Wedding in August. Olivia's makeup reflected her cool, chic, minimalist style. 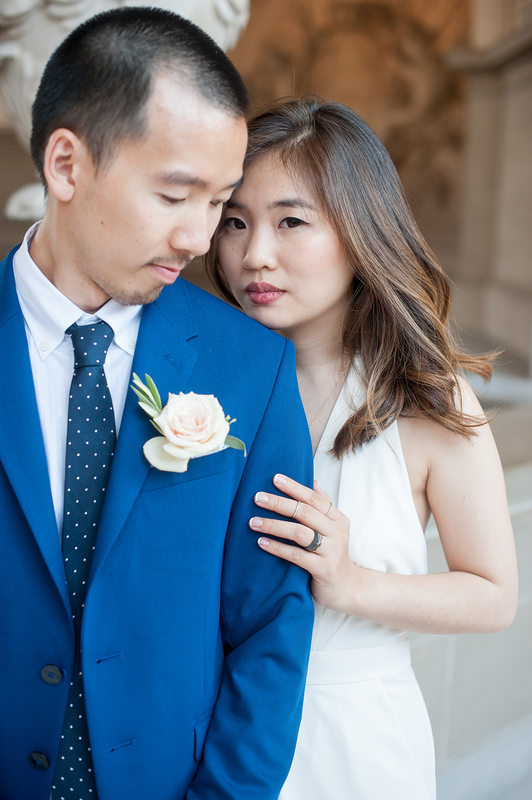 This creative power couple's eye for beautiful details shows in their photos. Olivia is a talented jewelry designer, and Jeff, her now husband, is a UI designer. I especially loved Olivia's incredible white jumpsuit, paired with a subtle gold body chain. As someone who rarely wears makeup at all, Olivia really wanted that no-makeup makeup look. Olivia's makeup was airbrushed, using the Temptu hydralock foundation. I did a subtle glam eye on her with a soft, natural lash. The airbrush makeup is so great- it will really stay put and looks so flawless! I always say it's easy to make pretty people even prettier- I love how Olivia's skin looks so radiant and beautiful! Want to know more about this creative husband and wife?